Melatonin is the pineal hormone, is an indoleamine, and has a persuasive role in the biological regulation of circadian rhythm, sleep–mood disorders, immunoregulation, cancer, neurodegenerative disorders, and aging. It passively diffuses into the bloodstream, exerting maximum effectiveness and protective action. This protective action is due to direct free radical scavenging and indirect antioxidative effects, especially in cases of neurodegenerative disorders like Alzheimer’s and Parkinson’s disease whose pathogenesis is associated with the cytotoxic effects of free radicals. Melatonin also promotes neurogenesis in adults, thus affecting hippocampal functions and enhancing cognitive and behavioral activities. 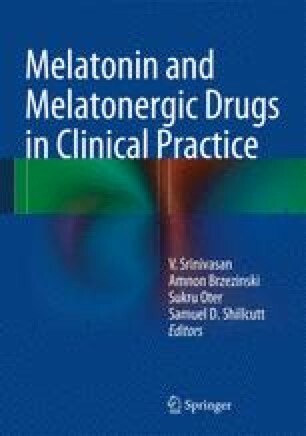 Therapeutic trials with melatonin have been effective also in slowing down the progression of some neurodegenerative disorders. Studies suggest that melatonin have clinical potential for the treatment of neurodegenerative diseases.